DeMarini cf9 is a series of bats designed and manufactured by DeMarini. These bats include DeMarini CF9 Hope, DeMarini CF9 Insane, DeMarini CF9 (-10) Fast Pitch Bat and DeMarini CF9 Slapper. All the bats are made with the perfect knowledge that softball players are different, and these players prefer, a different kind of bats. This series, therefore, is an indication of diverse in softball players playing different positions. CF9, as a series by DeMarini, is a product of a continuous study that the company has continuously undertaken in how the potential players interact with their bats. This series is, therefore, an indication of improvement which is player oriented. The following are some of the specific reasons why you should choose CF9 bats. First, the bats are relatively light, and this gives the players the chance to make swings that are more precise and exact. This is except DeMarini CF9 (-10) Fast Pitch Bat which is relatively heavy. 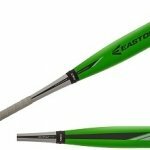 The bats also come with manufacturer’s warranty, and this is a definite indication especially from a prominent company like DeMarini. Finally, although DeMarini makes the bats, they are different but highly effective. 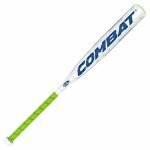 The bat, designed and manufactured by DeMarini is an improvement of the previous CF8 version in various specifics. The specifications that are improved in this model from the previous CF8 model include the general performance by slightly reducing the weight for better swings and improving the sweet spot. This bat certified by various associations including ASA, ISA, and the competitive USSSA and in ISFNSA, shows, compliance to the set game rules regarding the making of the bat, design, and specifics such as weight. First, DeMarini CF9 Insane is a composite bat incorporating carbon fibers. The carbon fibers that mainly constitute the barrel are durable, and this is a relative improvement in the general makes and strength of the bat. The bat makes light compared to other bats in the market, and this gives the player the ability to make definite good swings that are crucial to being competitive. Second, the bat has one of the giant bat sweet spots in this category of bats, and this means therefore that the bat helps the player in getting the balls right. Third, the general feel of the bat is phenomenal. DeMarini have installed a technologically advanced RCK knob that not only gives the player the necessary comfort when playing but also ensures that the entire player’s energy is directed to the barrel for a better hit. Fourth, the bat comes in a range of lengths, which include from 31 inches to 34 inches. This gives the players a wide variety of bats to choose. Being an improves version of the CF8, the bat has an impressive sweet spot that not only makes the player get the hits correct but also makes the player enjoy the game more and in the long run is competitive. The bat feels comfortable in hand, and this is crucial in the game because it is one-step to be in control of the ball and the entire game. The bat is strong and firm, and this makes the player make definite hits and with accuracy. Compared to the previous version of this bat, the pop ability is lost. In conclusion, although the strength of this bat is in question, other factors of this bat are well taken care of, and therefore the bat can be referred as one of the best bats. As an improvement from the previous make of bats, the CF9 (-10) Fast Pitch Bat h as some of the most advanced features in the world of sports. 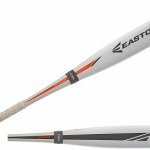 Unlike the other bats in this series, this particular bat is heavy and this to some extent is a feature that some softball players like. It is a composite made bat. This is an improvement in the previous series, which the bat was not as useful as they are supposed to be. Second, the bat has a more advanced grip that has taken the company many years to design and make. 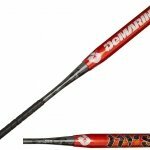 Third, like other bats, it is the most balanced, and this helps the softball player to make definite hits. It is comfortable to play with the bat because bat grip is well designed and fits into the player’s hands. The bat is strong and firm, and this makes the player make definite hits and with accuracy. This factor can be attributed to the fact that this bat has one of the well-balanced bats. The bat has a warranty, and this gives the buyer a more concrete reason to by the bet. Compared to other bats in this category, this bat durability is short, and it requires replacement after some few playing time. 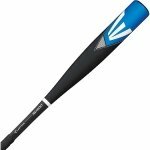 With the above features makes this bat one of the most advanced with well-balanced features. The faulty bats are so minimal, and the documented instances of lengthy change of faulty bats should not discourage a potential buyer. The bat, Paraflex composite in nature is also a great improvement from the previous makes. The composite nature of this bat makes it be a light piece. This make, therefore, means that the bat is best suited for errorless swings. The DeMarini CF9 Slapper certified by various associations including ASA, ISA, and the competitive USSSA and in ISFNSA is compliance to the set game rules regarding the making of the bat, design, and specifics such as weight. The bat is one of the lightest bats in this series, and this fits well for the kind of hitters that prefer long but slightly light bats. Second, since the bat is made from composite, there is an extension of the composite to give the bat one of the most significant sweet spots in this series of bats, and this makes it ideal for rapid and accurate hits. The handle, which is D-Fusion in nature, makes the bat very comfortable and in case the player mishits the ball, the effect does not make the player has an irritation. The bat is relatively light, and a player can attain better bat swings and therefore become competitive. Since it is a long bat, it means that compared to other bats of the same category, one is assured of a large sweet spot. It is also comfortable to play with the bat because bat grip is well designed and fits into the player’s hands. There are instances where getting a bat exchange due to substandard bat is faced with bureaucracy and therefore impossible. In conclusion, the bat is aimed at a specific type of players, and it, therefore, fares to state that the target market is well catered for with these quality type of bats. The durability aspect which is mainly described as the downfall of this bat although to some players, the durability is a non-issue. Certified by various associations including ASA, ISA, and the competitive USSSA and in ISFNSA, DeMarini CF9 Hope is in compliance with these associations set rules. The DeMarini CF9 Hope also is also -10 in the ratio of the length to weight. The bat is fully made of carbon composite that guarantees that the bat is not only a strong playing bat but also light. First, as mentioned earlier, the bat is composite made, and this translates to a more responsive piece of equipment. This is the ideal translation of a perfect bat. Because the carbon fiber is known for being an active bat making material, the bat is durable and can the player can make good hits. Second, like other bats of CF9 series, the handle is made from D-Fusion, which is the new technology of ensuring that the bat mishits and hitting discomforts do not have an impact on the player’s hand and all the shock is absorbed instantly. The bat has an impressive sweet spot that not only makes the player get the hits correct but also makes the player enjoy the game more and in the end, is competitive. The bat is under a one-year warranty. The durability of DeMarini CF9 Hope bat is not the best in this bats category bats and therefore not the correct choice of durable bats. In summary, DeMarini CF9 Hope shows much improvement from the previous version of the bat, and this is a great stride by DeMarini. 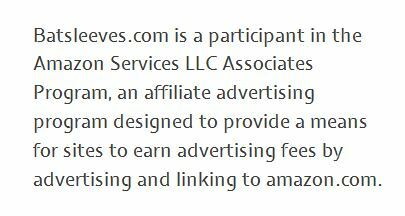 These features give the buyer the value of money, and the bat can be termed, therefore, as affordable. In conclusion, the DeMarini bats show much improvement from the previous versions. The general makes and the change of Paradox+ as the primary material of making these bats to more advanced Paraflex, which is a new technology, shows growth and more customer oriented bats. The new technology is stronger than the previous one, it does not make the bats heavy, and this concept is a trendsetter in the bats making and designing. With all the above certifications, CF9 is the perfect series of bats to go by. Some critics have described the bats as pricey, which are a subjective label, and the objective standpoint is that the bat gives the player the value for money.